Jane Austen’s enduring love story is brought to life as a romantic-comedy musical. The story revolves around Emma, a well-meaning, but disaster-prone matchmaker, who ignores her own romantic feelings while setting out to find a suitor for her friend Harriet. 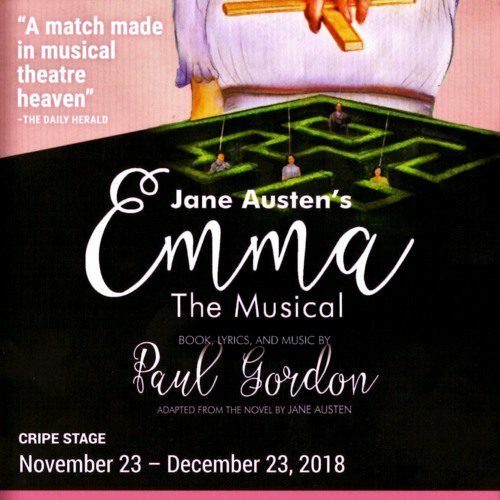 Her efforts go awry, of course, leading to comic complications…fall in love again with one of Jane Austen’s most adored characters, featuring an intelligent and buoyant score from Tony-nominated composer Paul Gordon (Jane Eyre).